Observation - GRASS EMERALD MOTH - UK and Ireland. 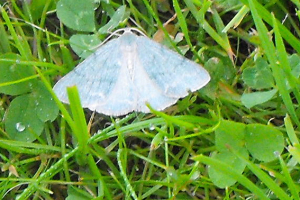 Description: Bluey green moth with dark lines across wings.Found on lawn early morning. Bluey green moth with dark lines across wings.Found on lawn early morning.